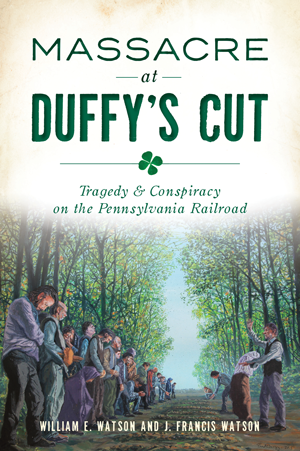 The Watsons are the founders of the Duffy’s Cut Project. William E. Watson received his PhD in history from the University of Pennsylvania and is a professor of history at Immaculata University in Pennsylvania. J. Francis Watson received his PhD in historical theology from Drew University and is a Lutheran clergyman, ecclesiastical archivist and historian in New Jersey.